I love a good apple pie. But I’ve found that most are too sweet for my taste. 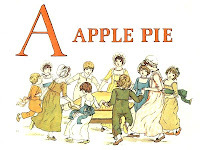 And I absolutely abhor apple pie made with canned apples. So if you like a sweet sweet apple pie, this isn’t it. Prep the apples and have them in a large bowl. Toss this mixture all over the apples and gently stir to mix well. Roll out the first disc of pie crust and lay over the pie plate. 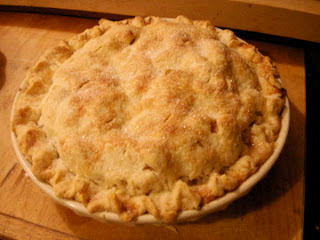 Put the apple mixture into the unbaked pie crust, and dot with butter. Add the second crust, crimp, and trim. Add a few air vents by slitting the top. Using a pastry brush or wadded up piece of plastic wrap, gently cover the top crust with some milk or cream. Sprinkle sugar lightly over the top. I like to use fat sugar. But any sugar will do.